Your son dashes into the mall on Christmas Eve in a madcap rush to get those last holiday gifts; you’ve had his present picked out and wrapped for six months. Your daughter hops online and orders for everyone on her holiday list all at once, while you enjoy perusing the stores for just the right gifts. When are the best deals on holiday gifts? How much do you spend on holiday gifts? Which items do plan to purchase this holiday season? 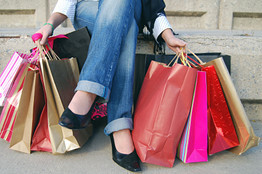 Which retailer tactics will entice you to buy this season?